Shoddy development of her original website left Plant Prepped founder, Ilana, with a broken website that was losing more customers than it was bringing in. 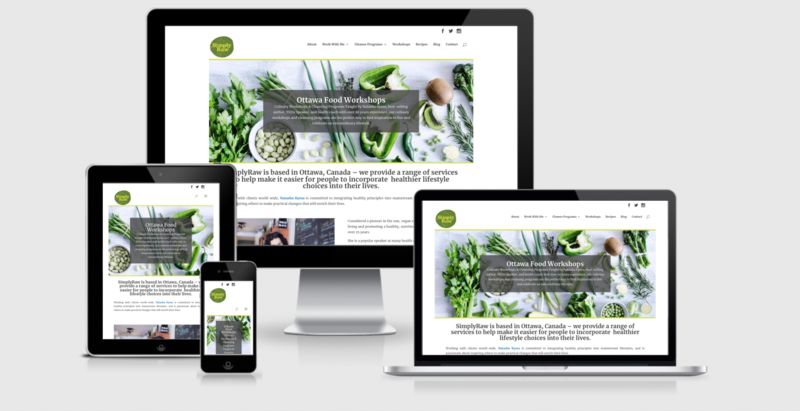 Rather than being Plant Prepped’s best sales asset, the old website was sabotaging their ever effort to grow and provide a high level of customer service – yikes!! 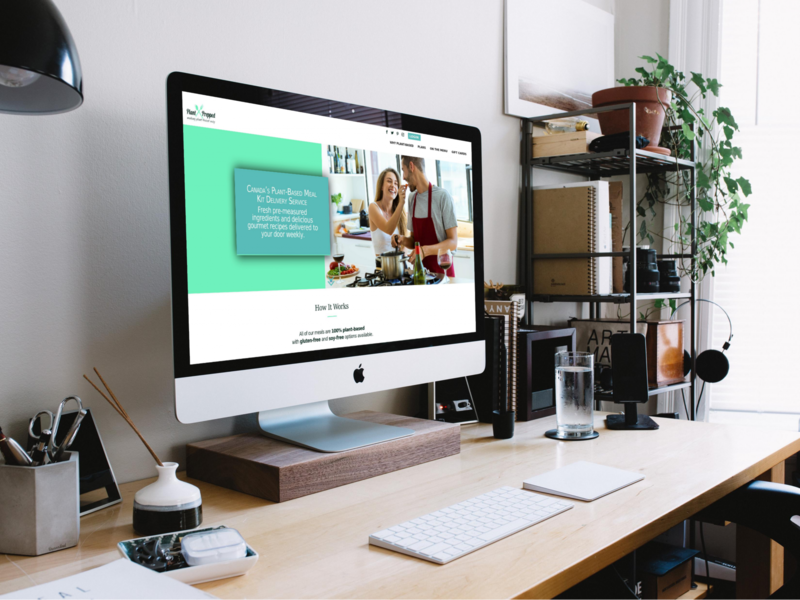 Venture Creative Collective came to the rescue, creating a brand new website with advanced subscription functions, which not only looks great – it works! 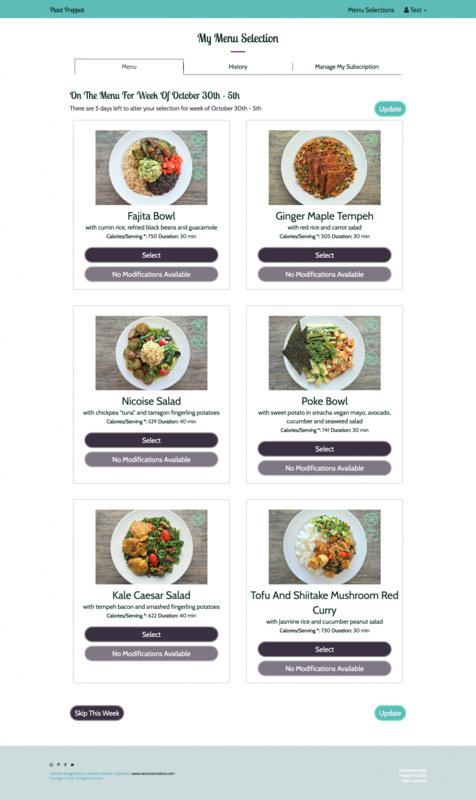 To help Plant Prepped to compete with the national names in subscription food boxes, VCC coded a fully custom clients-only portal where customers of Plant Prepped can select the meals they want included in their boxes, skip/unskip weeks of service, and indicate their allergens/dietary preferences. VCC created a seamless and intuitive eCommerce experience which had an instant effect on the number of new signups to Plant Prepped via the website. There was a drastic increase in new buyers starting right when the new website was launched. This increase has been sustained in the months since the launch of the new website. Even better, the retention rate of existing clients has skyrocketed! 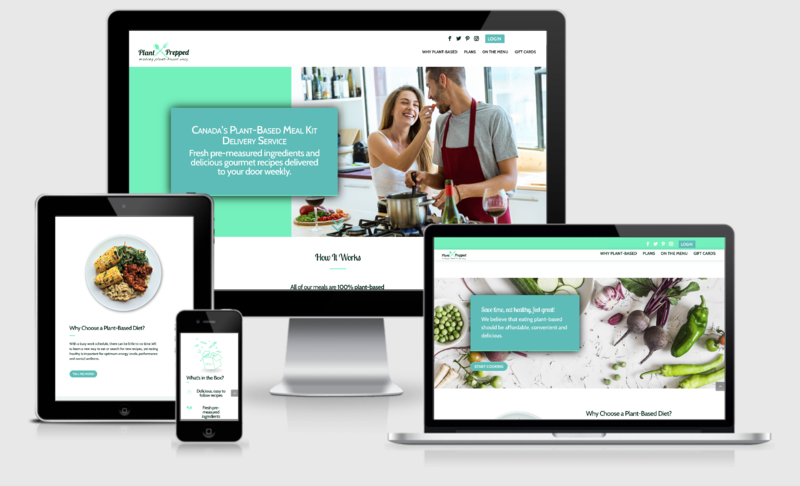 When paired with the improved subscription management and billing, the client portal Venture Creative Collective custom coded for Plant Prepped has allowed for a substantial increase in the customer experience. From picking their own meals to submitting ingredient substitution requests, Plant Prepped’s clients now have a higher level of control over their meal experiences and they love it! In short, since the launch of the website and portal created by VCC, Plant Prepped has more customers and is earning significantly more than ever before.